Did your Blood sugar readings disappoint you again? Why do you have to think twice to munch your favorite chocolate or that lovely sweets you crave for! We all know the pathetic nature of Diabetes. You simply can’t eat what you want. 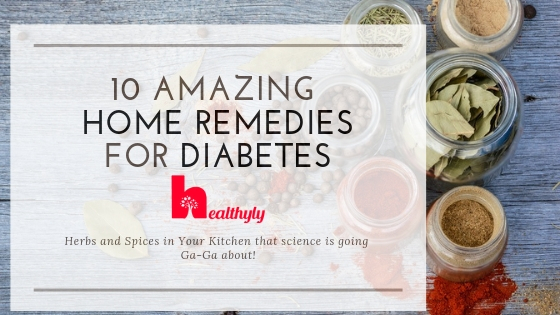 Well, I am going to tell you otherwise with these Home Remedies for Diabetes! 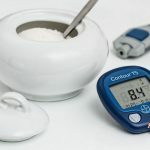 You can have that piece of cake and munch on some of your favorite snack too BUT you need to follow a routine, grab the perfect home remedy for diabetes that can actually toss off those depressing numbers on your glucometer. 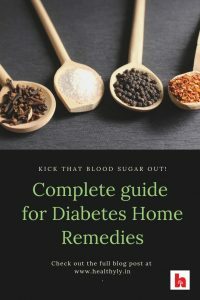 I have carefully crafted the most effective home remedies for type 2 diabetes that you can follow and get the hold of your food again. Just ask your healthcare professional before taking those to avoid any sudden drops in your blood sugar readings. 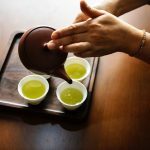 What are the most effective home remedies that have scientific evidence? 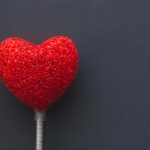 What are the do’s and don’t of a diabetes lifestyle? How to control your blood sugar levels when they are rooftop high? Also known as Trigonella Foenum-graecum, fenugreek or Methi has been used as a spice in the Indian kitchens for ages. It is known to impart a great flavor to the food and prevent the digestive problems as well. Fenugreek has been proven as the hero in controlling blood sugar levels. It also plays a significant role in controlling your lipid/cholesterol levels. What Science says about effect of Fenugreek in Diabetes? 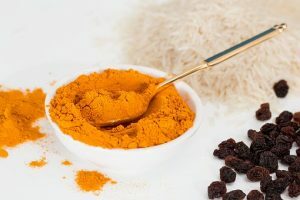 Well, Science is in favor of this flavorful spice but it shows delayed effects, which means you will see significant control in your blood sugar after 5th month (reference 1). Soak 1 tablespoon fenugreek seeds in 1 glass of water at night. Consume that water in the morning. If you can eat those seeds as well, then it’s a plus. Note – Diabetes patients can take fenugreek along with their oral hypoglycemic medicines. It shows added effects in metformin (a hypoglycemic medicine for diabetes) users. Consult your healthcare provider for more information. Did you know that apart from growing hair on your scalp, it is also great in controlling your blood sugar levels. This pungent yet tasty home remedy is not very hard to follow. The good news is that both juice and raw onion are effective in lowering down those nasty values on your glucometer. You can take 25 to 50 gm of freshly cut onion slices daily. You can take up to 100 gm depending upon your choice and capacity. Having a serving of salad with every meal helps a lot. Here are some interesting salad ideas from around the world! Onion and garlic almost always go hand in hands. 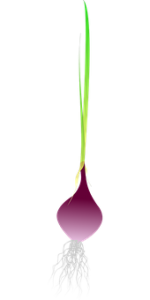 So this time is no exception, as per the Indian mythology, onion and garlic are produced where the drops of the ‘nectar-of-immortality’ fell. They have got this pungent smell because it touched the hands of evil people. That’s a story for another day. Let’s see what this super-flavorful, garlic-bread blessed ingredient can do for our diabetic folks! 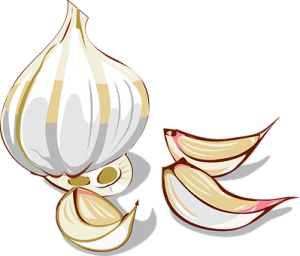 The studies show that garlic reduces the fasting blood glucose levels as well as the HbA1c (an average of 3 months of your blood sugar readings) levels within just one week of starting the treatment! Hurray! Talk about that nectar! It is a big big cholesterol reducer as well. 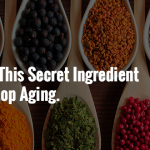 Read about this heart-healthy secret here. Ya, we all know that pungent smell. Although the garlic oils, garlic Tablets are available in the market, it is wise to choose the fresh raw ones and consume them 0.5 to 1.5 gm daily. One to two cloves of crushed garlic will do. (garlic needs to be crushed to release allicin in it). Just gulp it down with a glass of water! Fastttttt! 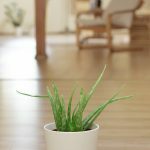 This much boasted about air-purifier plant is not just for skin’s beauty but for your pancreas too! Yes let’s find out how. A study (ref. 3) proved that the aloe vera gel has better effects than the famous diabetic medicine glimepiride when taken in dosage of 10 ml/kg. Start with half a cup juice everyday and then increase up to one cup. Make sure you consult your healthcare provider before starting it. 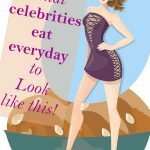 Added Benefit – Your skin will glow and there are chances of losing weight as well! This fragrant spice has a role to play in our daily cooking in India. This spice imparts a strong fragrance and flavor to the dish. What Science says about Cinnamon? The studies (ref. 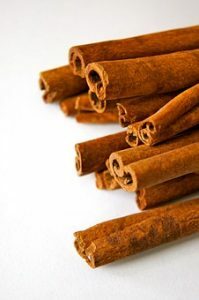 5) done on cinnamon are very promising and they prove that cinnamon do improve the insulin secretion and thus helps in regulating the blood sugar levels. Cinnamaldehyde present in cinnamon helps in increasing the insulin sensitivity of the body. Long term consumption of cinnamon can be toxic for your liver. So take it in small quantities and do give some gap of a few days after a month or so. Taking ½ teaspoon cinnamon powder in warm milk will enhance it’s flavor along with it’s benefits. You can also just stir the cinnamon stick in your beverages if you are not a cinnamon fan. 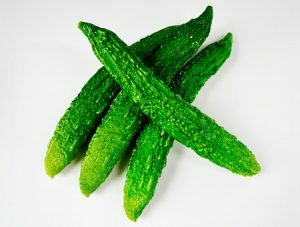 Also known as Momordica Charantia, this bitter vegetable is known for it’s anti-diabetic effects. The vegetable is a delicacy in most of India but it’s mostly fried to remove it’s bitterness thus lowering down the food value. Studies are in favor of bitter gourd. It has been proven that it lowers down the blood sugar levels in both diabetes type 1 and type 2 patients. It’s juice is the most effective, but considering the bitterness, you can use it in your vegetable smoothie. If not bearable even then, then have some baked stuffed bitter gourd like a side dish, they taste amazing! The last option will be Bitter Gourd tablets, Himalaya makes them, You can buy them here . Amla or Indian gooseberry has many laurels to it’s crown. Right from glowing skin, grey hair treatment and an anti-aging ingredient, amla is now ruling the diabetic world too. Other two ingredients are also known to fight diabetes, digestive system disorders and even Cancer. 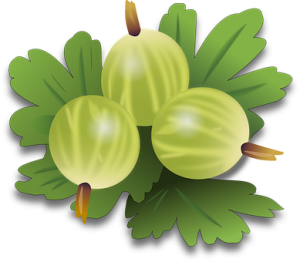 Yes, Indian gooseberry is hypoglycemic (ref 9. ) and it controls your cholesterol levels as well. It is one of the main ingredient of the best ayurvedic medicine ‘triphala’ powder. Haritaki and Bibhitaki are proven to treat insulin resistance, heart diseases and digestive system disorders. Triphala is available commercially in powder form, you can buy the tablets here Also, half a teaspoon Triphala powder can be taken with warm water or ghee or in tablet forms. Word of Caution – Triphala is a laxative so if taken in large quantities, it can cause diarrhea. Also, pregnant and laxative moms must not take this. Who doesn’t like ginger tea! Well, it’s the most common beverage in India and has it’s hidden benefits for cold,flu or cough. Now, it has been proven to help our diabetic folks! Ginger reduces the insulin-resistance in your body. Although, you won’t be able to see a significant decrease in your blood sugar readings but your HbA1c readings will improve. It is beneficial for those who are having insulin resistance (body doesn’t respond to insulin like it should). Don’t consume it in large quantities, especially in summers. You can take it in more amount in winters though. In hot season, just consume half inch crushed ginger in your tea and you will not be having any insulin resistance. This one is a winner! This plant benefits the diabetes patients in some unusual ways. It’s name Gurmar literally means Sugar destroyer. Gymnema or Gurmar reduces your sugar cravings! Yes, it works in incredibly unique way. The amazing Gymnemic acids present in this plant’s leaves covers your gut cells thereby reducing the absorption of sugar molecules in blood. (ref 10) This reduces the blood sugar levels considerably. So less sugar cravings and less sugar absorption! 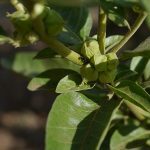 The leaves of this plant are somewhat sweet in the beginning and then as soon as you chew it some more, it gets bitter and bitter. So maybe some Gymnema tea (boil leaves for 5 minutes and take it after 10-15 minutes) with honey or some Gymnema capsules or if you are brave enough then chew two leaves empty stomach. Have this plant in your house, it bears beautiful white flowers during the spring! I just realized that Gymnema or Gurmar deserves a special article on itself. 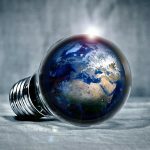 Subscribe to our newsletter so that you don’t miss that upcoming article! Turmeric is being used to give a nice color to the vegetables and curries in Indian cooking. 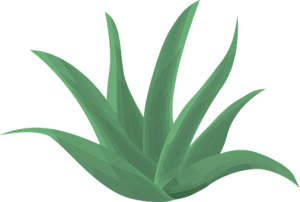 It has anti-inflammatory properties in it and is known to impart glow on the face. It is also hypoglycemic in nature. Turmeric has shown promising results in reducing the blood glucose levels. You can take it in small quantities to reap it’s benefits. Take 1/4rth teaspoon of turmeric daily with warm milk and that’s it. Some other effective home remedies for diabetes are Apple cider vinegar, clove oil, anise, coriander, cumin, ginseng, holy basil and neem (azadirachta indica) etc. Another important thing that can control your blood sugar levels is Physical activity, such as cycling, walking, jogging etc. The physical activity consumes excess sugar in your blood and helps in secretion of insulin by providing better digestion and improved blood flow. Do take a look at how to warm-up and cool-down before and after your physical activity respectively. Stay away from stress as it leads to over-eating or fasting and both are not good for your blood sugar readings. Get your blood sugar checked every 15 days and get an HbA1c done after every three months. You can also buy a glucometer to check your blood sugar at home quiet easily, buy the best and most affordable one here at amazon. Stay hydrated. Some of the most amazing drinks for diabetes are listed here. Do try them this summer. Increase your fiber intake and lower down your carbohydrate intake. The carbs get converted into sugar thereby increasing the blood sugar levels. So take high fiber such as a bowl full of salad and less carbs such as bread, roti, rice etc. Know more about high fiber diet for diabetes here. Losing weight goes a long way. If you lose weight, it will improve your whole digestive system’s functioning including the pancreas. Try out this gm diet chart to lose 4 kgs in one week. Sleeping is related to diabetes too. If you sleep well, you will have more balanced metabolic functions and better hormonal balance in your body. If you have trouble sleeping then check out the reasons which are not letting you sleep. Chromium, magnesium and other micronutrients must be taken in good amount to avoid any deficiencies. Some of the sources of these micronutrients are coffee, nuts, green beans, broccoli etc. Be positive and be regular. Don’t go so hard on yourself but don’t cheat too often. I would suggest you to choose one or two herbs at a time and follow it religiously for at least one month. Check your blood sugar levels before starting a home remedy, then after 15 days and finally after one month. 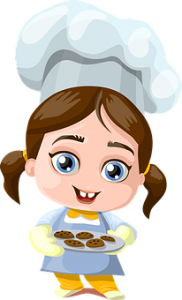 Choose an ingredient that will be easy for you to eat in your daily life. Also, don’t forget to take the consent of your healthcare provider before starting any of these remedies. Wishing you lots of Happiness and a Healthy life ahead.